Last week Microsoft announced that MSE 2.0 was available for public beta testing. 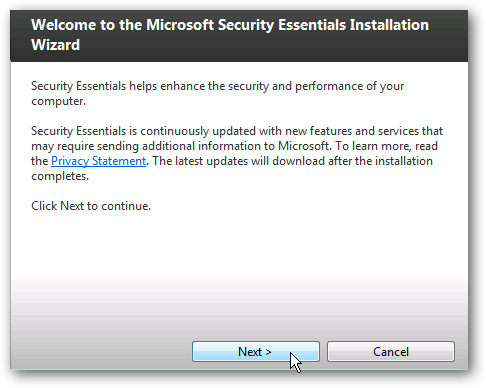 The cool thing is the new version of MSE installs on Windows Home Server. Here we’ll take a look at running it on WHS “Vail”. 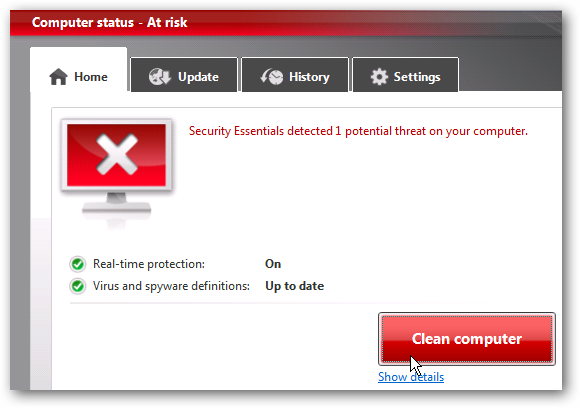 Last week we showed you a screenshot tour of the new Microsoft Security Essentials 2.0 Beta running on Windows 7 and the current version of Windows Home Server. 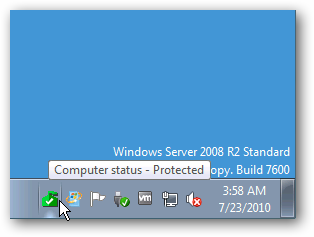 Since the current version of Windows Home Server is built on Server 2003, it doesn’t support the new feature of Network Protection. 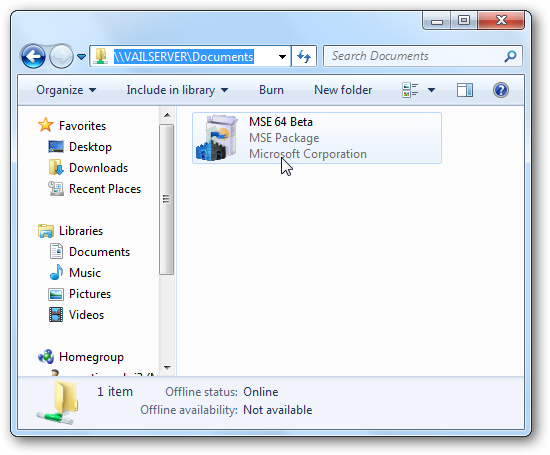 The feature is available in WHS Vail though, as it is built on top of Server 2008 R2. Let’s take a look at installing and running it on WHS Vail. 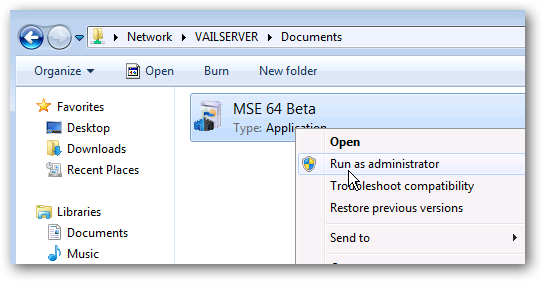 First put the MSE 64-bit install package into one of your Vail Server Shared Folders. You will need to use the 64-bit version because that is the only version Vail comes on. Now on a computer connected to your network Remote Desktop into Vail and install MSE 2.0. 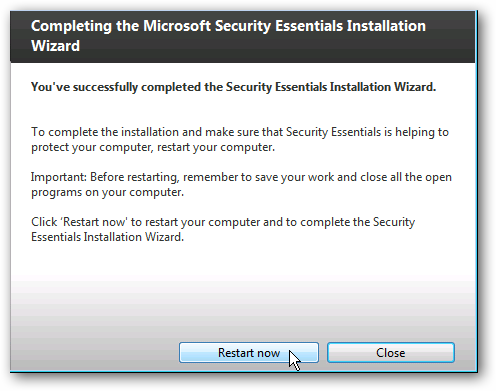 Run through the install wizard just like you would if you were installing it on a Windows computer. 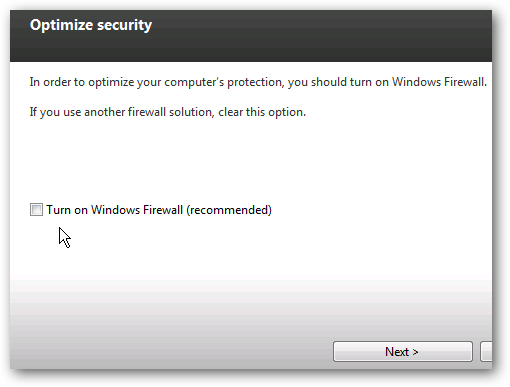 It also includes Windows Firewall Integration so you’ll want to decide if you want to enable it or not. 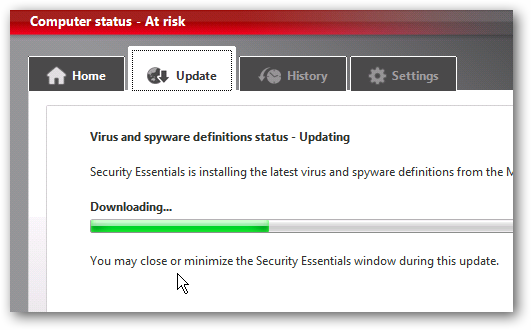 After the server restarts, remote back into it and you’ll see that MSE 2.0 is updating its malware definition files. 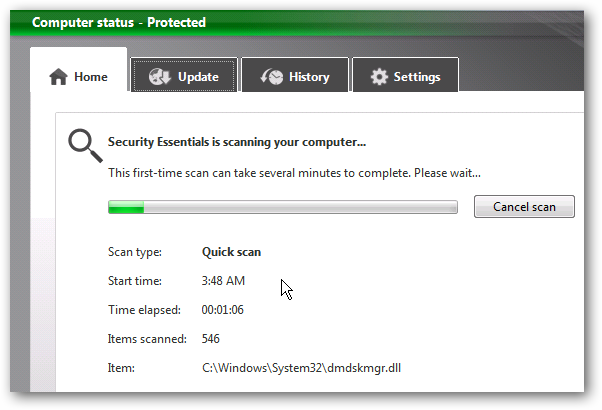 After that it will kick off the first Quick Scan but it can take several minutes to complete. After the scan is complete, you can go into Settings \ Real-time Protection and notice the Network protection feature is supported by Vail. Like on your desktop, the MSE icon lives in the Taskbar and will run during system startup so you don’t need to install it as a Service. 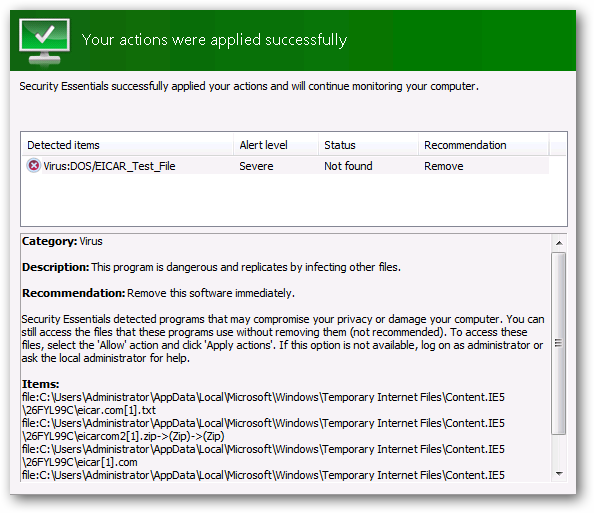 We ran a couple test viruses from eicar.com (which is a great way to make sure your Antivirus software is working) on Vail and MSE 2.0 detected and removed them successfully. If you have Windows Home Server, either version 1 or are testing the beta code named “Vail”, you’ll be happy to know that MSE 2.0 will work on both versions. 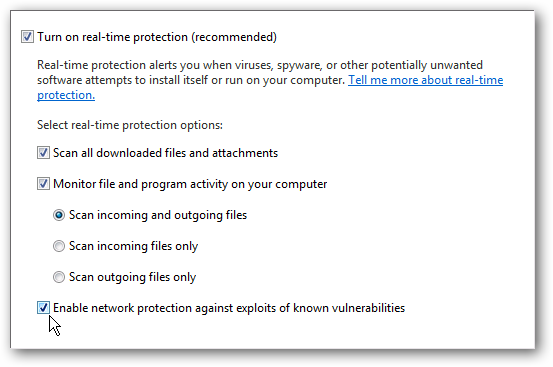 Although the Network Protection feature isn’t available on version 1, it’s nice to have a solid, lightweight, and easy to use Antimalware utility to protect your server. In our week of testing it, we had no issues and it seems to be working perfectly. Make sure to check out our screenshot tour of MSE 2.0 where we show it running on Windows 7 and the current version of WHS.